When it comes to food, New Orleans is famous for many things. Po’ boys. Bananas Foster. Sno balls. But Creole cuisine is the most notable, cherished, and downright delicious tradition of them all. With a uniquely New Orleans style and roots dating back to the colonial days of Louisiana, Creole culture is a point of pride for the city. It’s woven into the streets. It fills the air with Zydeco music. And it wrote the recipe book on authentic New Orleans meals. All around our French Quarter hotel are some of the finest Creole restaurants in New Orleans. From traditional Creole restaurants that follow classic recipes to modern twists on classic dishes, you can taste the full spectrum of New Orleans flavor right outside our door. Here are 5 of our favorite places to eat Creole food in the French Quarter. Founded in 1905, Galatoire’s Restaurant (209 Bourbon Street) is a landmark for French Creole cuisine in the heart of the French Quarter. 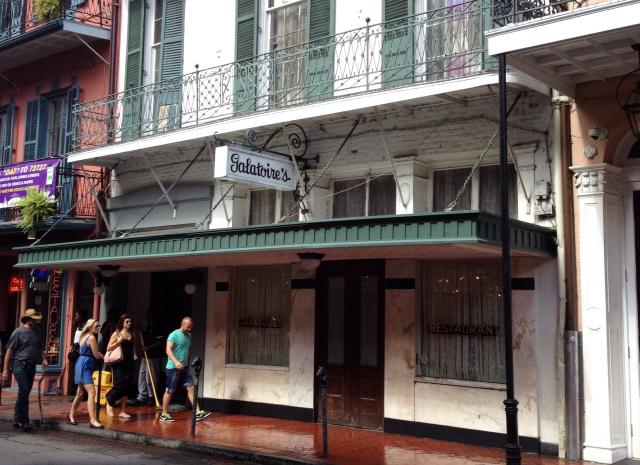 Though Bourbon Street may have changed over the years, the recipes and traditions at Galatoire’s have stayed the same. The old-guard establishment has earned its spot as one of the “Grand Dames” of New Orleans dining. Galatoire’s is well known for its Shrimp Remoulade and a first come, first served policy in the first floor main dining room. Lunch hours on Fridays and Saturdays are famously (and raucously) packed with local patrons. To avoid the crowd, you can make a reservation for the upstairs dining room in advance. Take note: dressy attire is expected and jackets are required for men. If you’re in the mood for something a little less formal but still want to taste elegant versions of Creole classics, you’ll love Criollo Restaurant (214 Royal Street), a true Creole Bistro located inside of our sister property, Hotel Monteleone. With a menu focused on seasonal, local ingredients and drawing from the many cultural influences that are the hallmark of Creole cuisine, Criollo is worth a visit. The dining room is open for breakfast, lunch and dinner. After your meal, don’t pass up a seat at the legendary Carousel Bar for a cocktail. If you’re the type of traveler who loves exploring the hidden gems of a neighborhood, there’s no better recommendation than Eat New Orleans (900 Dumaine Street). Local French Quarter residents flock to this casual Creole restaurant, which features farm-fresh ingredient-filled dishes like Fried Green Tomato Remoulade and Crawfish Boullettes. Take note: the restaurant is BYOB and the dining room is small. Reservations are available for dinner, but lunch and brunch are first come, first served. 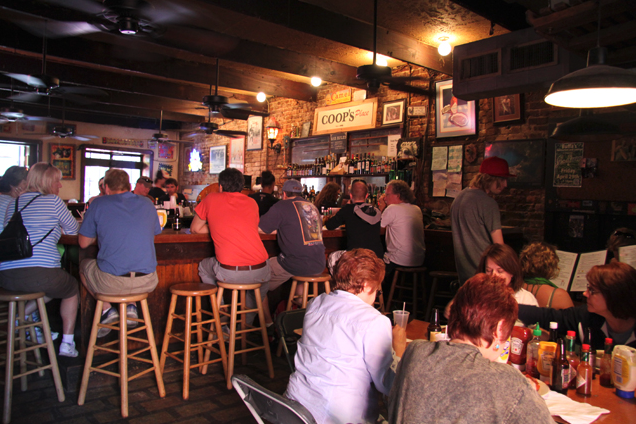 Head towards Esplanade Avenue on Decatur Street until you reach Coop’s Place (1109 Decatur Street) for an even more off-the-beaten-path experience. The dive bar atmosphere is an acquired taste, but their delicious Creole food is more than worth it. 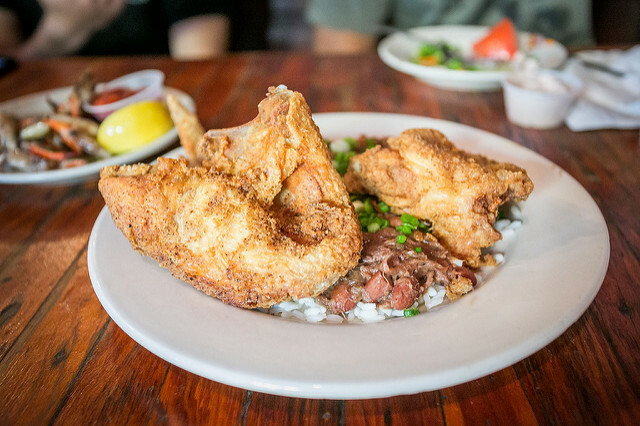 This affordable restaurant stays open late (typically until around 1:00am), and house specialties include Rabbit & Sausage Jambalaya and Seafood Gumbo. 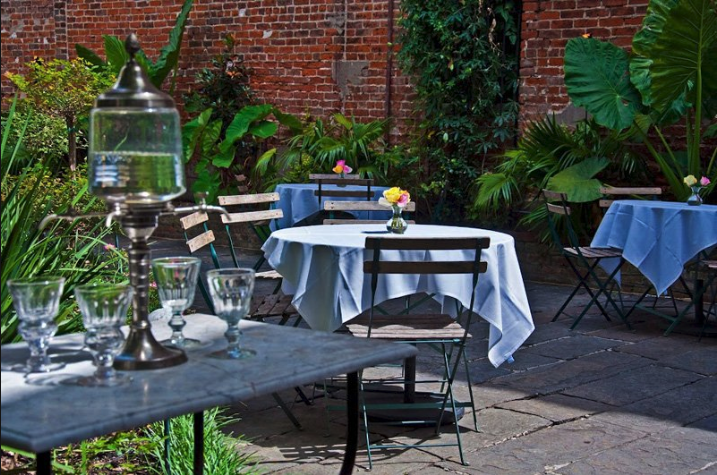 Perfect for brunch on a sunny day or a romantic dinner for two, Café Amelie (912 Royal Street) offers French Quarter courtyard dining at its best. A favorite among locals and tourists alike, this charming cafe features a seasonal menu for lunch, brunch and dinner. Take note: reservations are recommended if you’d like to enjoy their al fresco seating, particularly during weekend brunch. 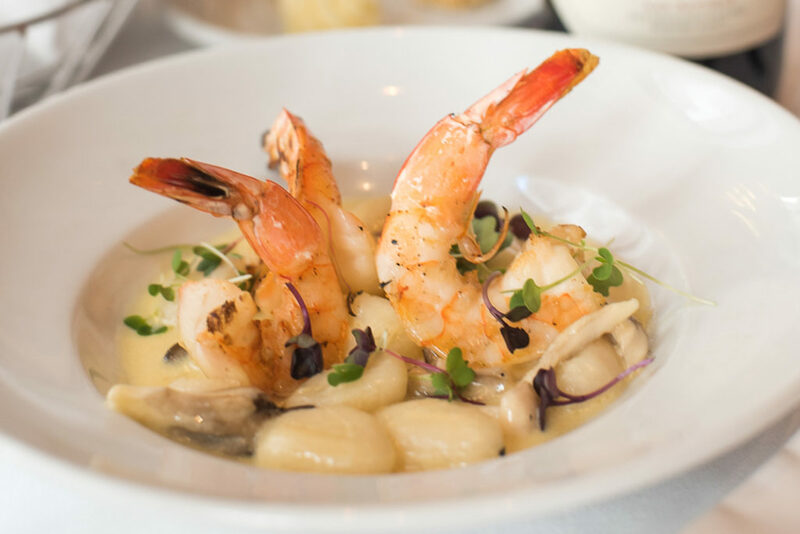 Whether you’re looking for a historic New Orleans restaurant or just a good place to eat Creole food, there are plenty of choices for authentic, mouth-watering dining near Bienville House Hotel. Our boutique getaway lets you stay in the heart of the French Quarter and celebrate NOLA’s incredible food culture like a true New Orleans native. 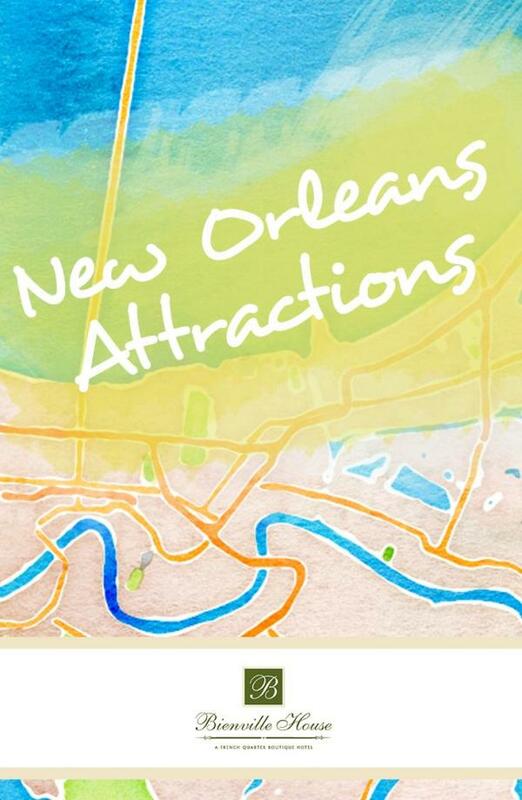 Ready to book your trip to New Orleans? Reserve your room today!